Yesterday, Emily Ratajkowski wore Realisation Par's green Violette wrap dress, confirming our theory that this is the dress of summer of 2017. 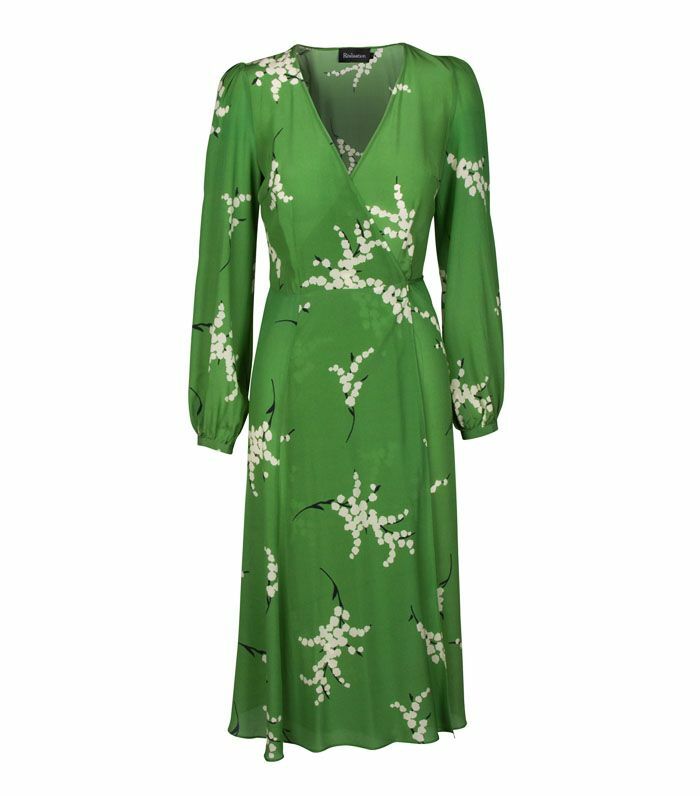 This has been the wedding guest dress of choice this year (I personally know three people who have bought it for summer weddings). It's also been a huge hit with the fashion blogger crowd, as we've spotted the grassy green £175 sleeved version all over our Instagram feeds on the likes of Adenorah, Emili Sindlev and Lucy Williams. Who What Wear UK's contributor Emma Thatcher of A Style Album selected it as her key dress of the summer in her last column. There are also other celebrities in on the cult piece—Margot Robbie and Jessica Gomes both have the shorter cut. It's no surprise that this dress has taken the title of dress of the year, as it's one of those little numbers that can work for every event in your diary from work to brunch to the races—not to mention the fact that the cut is almost universally flattering. Emily Ratajkowski even wore it as a robe jacket, unbuttoned and loose over a pair of distressed denim shorts and a camisole top, proving that it's a 24/7 kind of purchase. Scroll below to see how the Instagram set is wearing Realisation Par's Violette dress, and then shop it below (before it sells out). Next up, see our edit of the 15 dresses that are so simple you might have overlooked their wardrobe potential.